One of the reasons most art schools require students to take art history courses is that artists can and do learn and draw from the past. That past feeds art, on a nearly continual basis, and often the deepest, most moving, most breathtaking, most innovative art, draws on art from past eras. 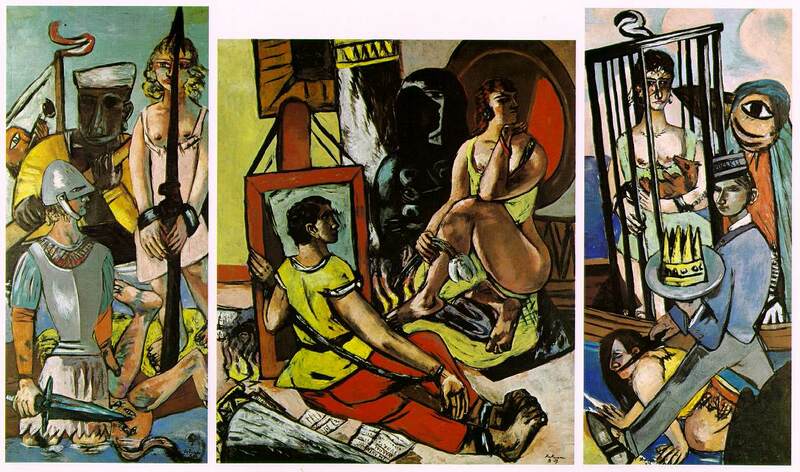 Such was the case with the art of Max Beckmann. It was demonstrated most forcefully in his late triptychs, wherein Beckmann drew upon the past in two ways. First, he employed a well-known but seldom-used format with which to bring his vision to fruition, and second, he drew upon themes explored in ancient mythology for his subject matter. A blog about art, artists, and cinema, particularly film noir.